Check those tickets! 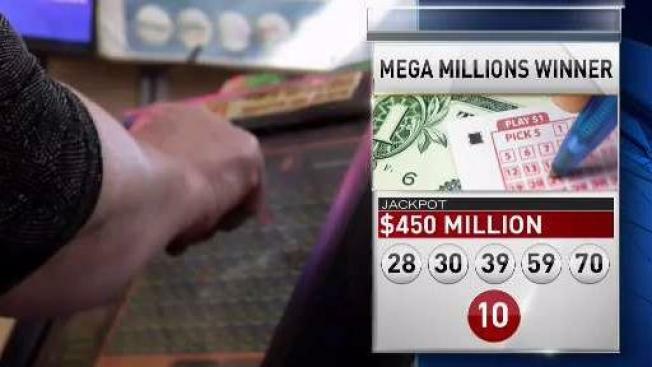 The Mega Millions winning ticket was sold in Port Richie, Florida. The winning ticket in the latest Mega Millions drawing was sold in Florida. One ticket matched all six numbers in Friday night's drawing and will claim a $450 million grand prize. The Florida Lottery says the winning ticket was bought at a 7-Eleven convenience store in Port Richey. The winning numbers to claim the nation's 10th-largest jackpot were 28-30-39-59-70-10. Lottery officials also increased the jackpot of Powerball, the other national lottery game, to $570 million. That drawing is Saturday night. According to the Florida Lottery website, the winner's name, city of residence and details on the winnings can be made public; however, the winner's home address and telephone numbers are to be kept "confidential."